The clamshell smartphone Samsung W2019 leaked a number of times, but now we a date to mark on our calendars. 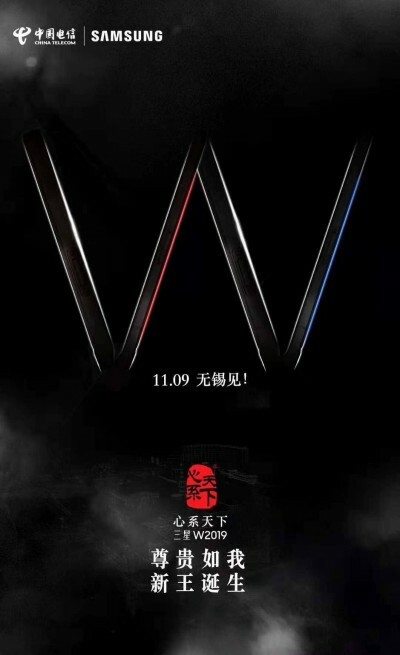 The company has set its announcement for November 9 as evidenced by invitations sent out to Chinese media. The event will take place in Wuxi, a Chinese city near Shanghai. The clamshell W lineup is characterized by limited availability and very high prices. The phone will cost at least CNY17,000 or about $2,500/€2,100 due to its exclusivity. There is a Rose Gold variant in tow, but looking at the poster, we would love to see some unorthodox colors for premium devices like Red and Blue.